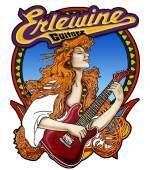 Based in Austin Texas, Erlewine Guitars have been in business since 1969. In addition to repairing guitars for over 40 years, they also make a couple of their own models as well as producing custom guitars made to order. One of their guitars - Chiquita Travel Guitar - was designed by Mark Erlewine in conjunction with Billy Gibbons from ZZ Top. Posted by harry molloy on Sun, 05/23/2004 - 13:29. Please send me infor on the above guitar, plus price and package costs to the U.K.? P.S. Also delivery time etc. Posted by steven marchand on Sat, 11/19/2005 - 12:44.
: Please send me infor on the above guitar, plus price and package costs to the U.K.? : P.S. Also delivery time etc. Posted by Fred on Wed, 07/26/2006 - 01:00. Posted by Simon on Wed, 08/04/2004 - 13:17. Manchester, UK, where are you? Look forward to hearing from you, Simon. Posted by manuel trevino on Fri, 06/13/2003 - 02:57. Candy Apple,and I will never sell or trade that honey. Posted by Dom Lacava on Tue, 09/09/2003 - 15:35. Where can I purchase a chiquita guitar on the east coast, New Jersey or Philadelphia. Posted by hermes on Thu, 05/24/2001 - 22:37.
hi, i`m very interested in the erlewine model used by mark knopfler, guitarist of dire straits, cause i don`t know the model, the only thing i know is that he used it for the brothers in arms tour, manly to play a song called "ride across the river". If you got any news about, please let me know!! thank you!! Posted by Paul Driscoll on Fri, 05/11/2001 - 22:12. Posted by Paul Driscoll on Fri, 05/11/2001 - 22:07. The Chiquita Guitar is such a beutiful guitar I think everyone should own this instument ,if your a guitar player or want to buy a guitar I would suguest the Chiquita, not only for it`s looks or it`s sound but because it`s quality, solid body top of the line hard ware.This guitar could last a life time.It`s has a great history as well. Posted by Paul Driscoll on Fri, 05/11/2001 - 22:06. The Chiquita Guitar is such a beutiful guitar I think everyone should own this instument ,if your a guitar player or want to buy a guitar I would suguest the Chiquita, not only for iy`s looks or it`s sound but because it`s quality, solid body top of the line hard ware.This guitar could last a life time.It`s has a great history as well. Posted by Matisse on Wed, 05/12/2004 - 15:17. The chiquita is a great guitar. It will keep you happy for many years. This guitar has great tone, and an amazing apearence that everyone especially you very happy.